Children in England have a less than positive attitude towards reading than in other countries, only 26% of 10 year-olds 'like reading' compared to 46% in Portugal, 42% in Georgia, 35% in Romania and 33% in Azerbaijan. My son currently loves reading and I hope this is something that will continue, we read with him at least once a day and I know that he reads at schools. It is upsetting to know that most children do not read or enjoy reading on a daily basis. For me tucking your child into bed a grabbing a book to read is second nature, it's part of that 'perfect' mother image. You see it in all the films too. We have a few book shelves in our house, one for Jared-David, one for me and soon one for Eryn-Rose. 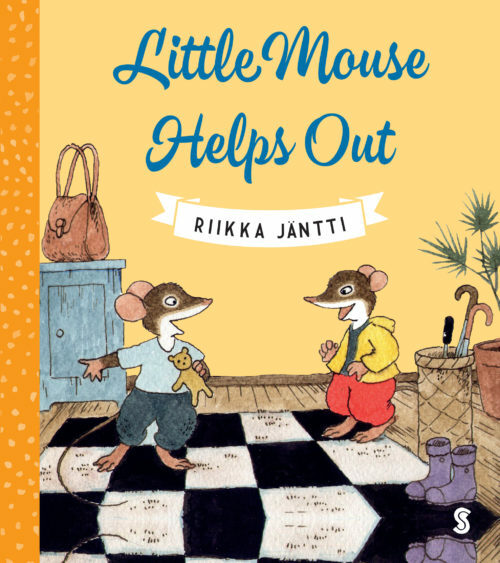 The newest addition to Jared-David's book shelf is a book called 'Little Mouse Helps Out' by Riikka Jantti. 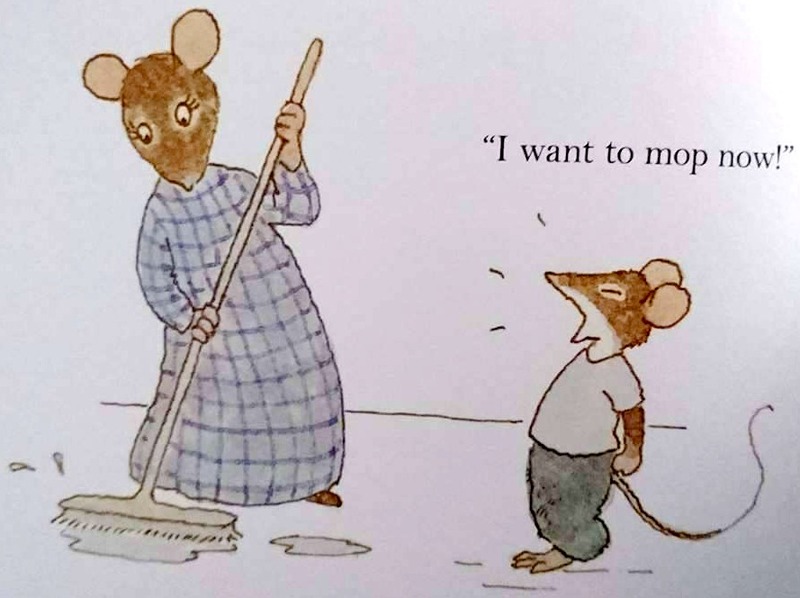 On first glance of the book the illustration caught my eye and reminded me of books from when I was a child. Riikka Jantti is also the illustrator which I think is great as it captures the look of what the author wanted the character's to look like. I also like that the pictures aren't really modern to the point you know everything was digitally created. When it came to reading the book I snuggled up with the kids on the sofa. After reading the first few pages Jared-David said 'mummy did you write this book?' I explained to him that I didn't and asked him why he thought that. Jared-David then explained that what was happening in the book is like what happens at home with us. For example there is a part in the story where the mouse is trying to get his own drink and it spills everywhere and although the mouse looks a bit upset mummy mouse says 'That's all right' and cleans it up. The more we read the more we could relate which is why this is now a firm favourite in our house.